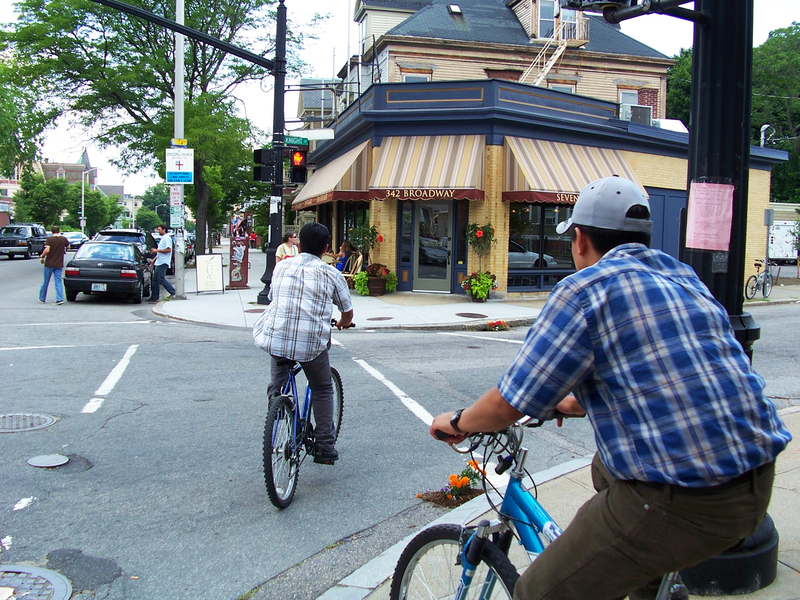 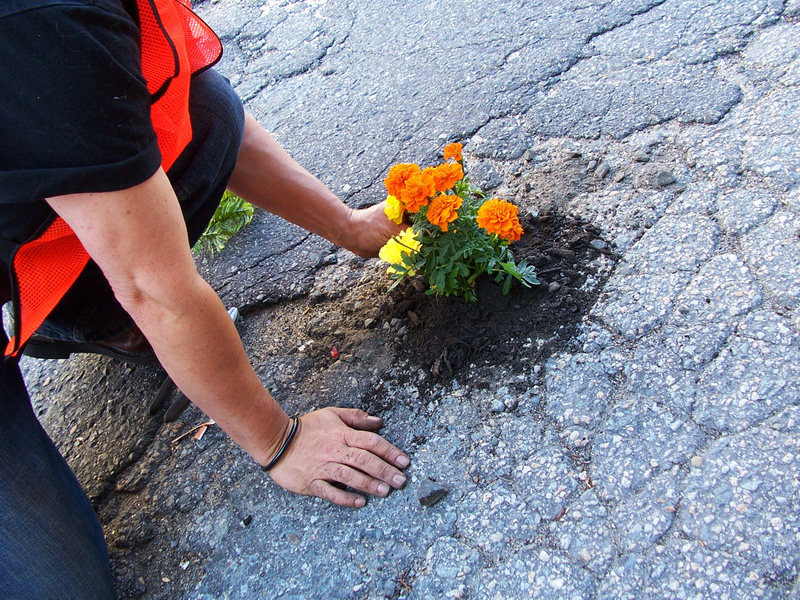 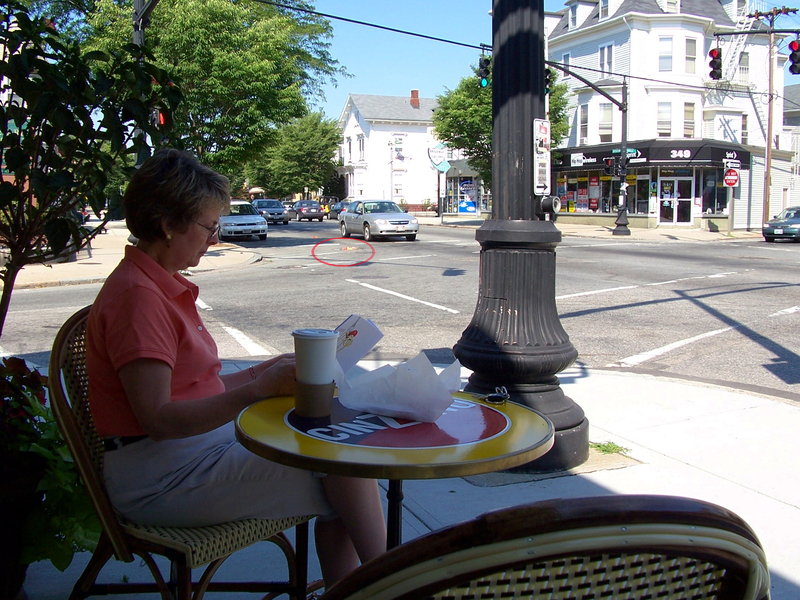 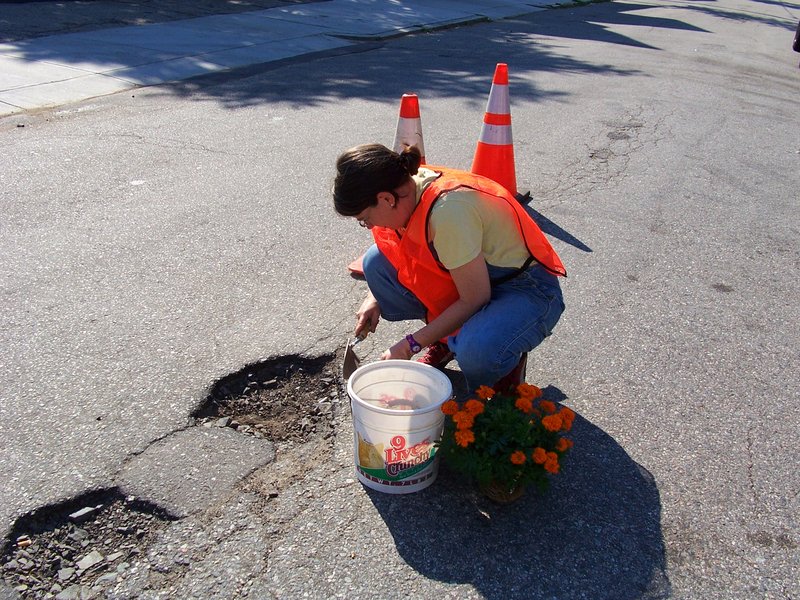 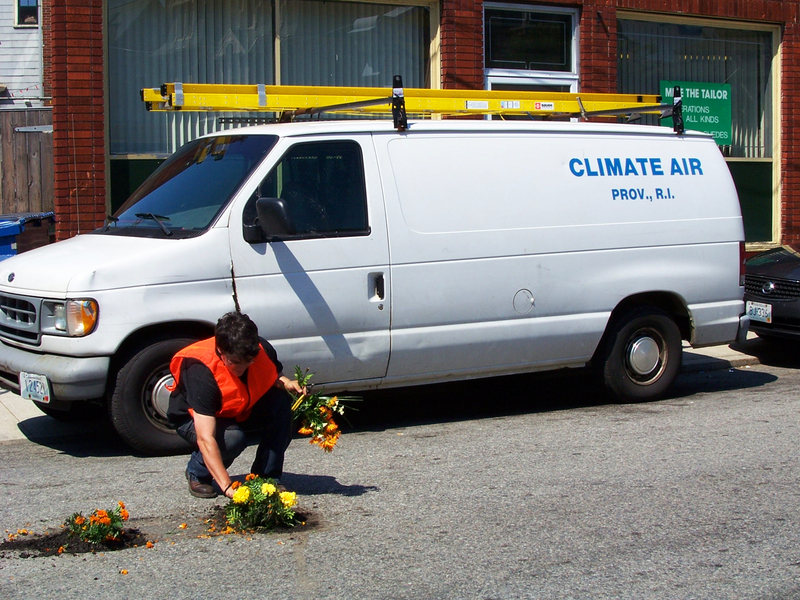 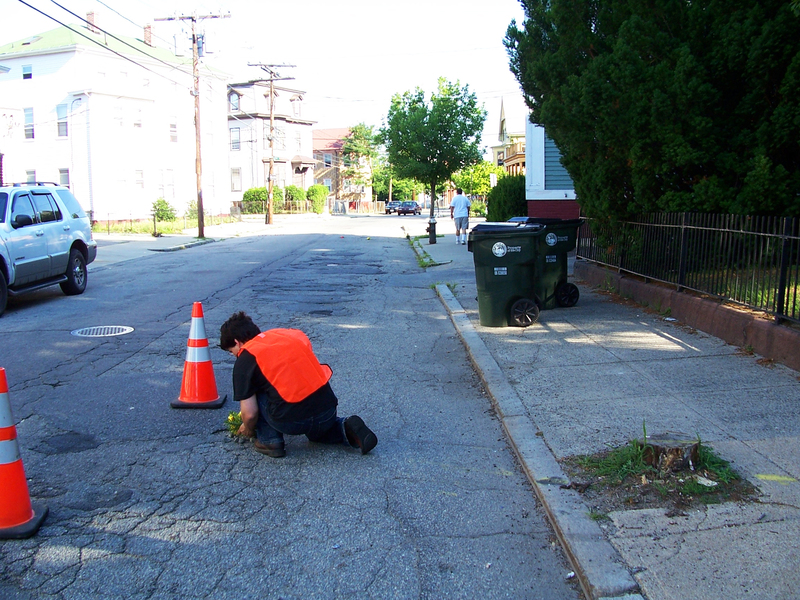 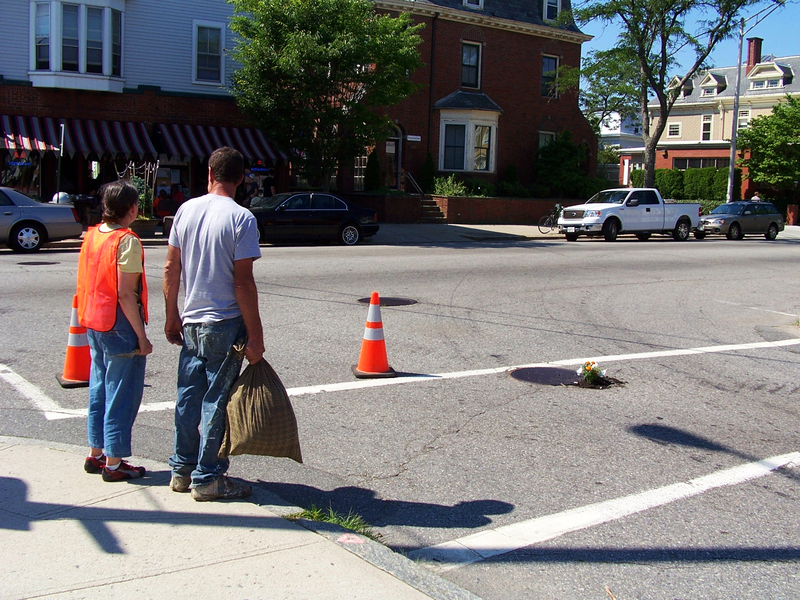 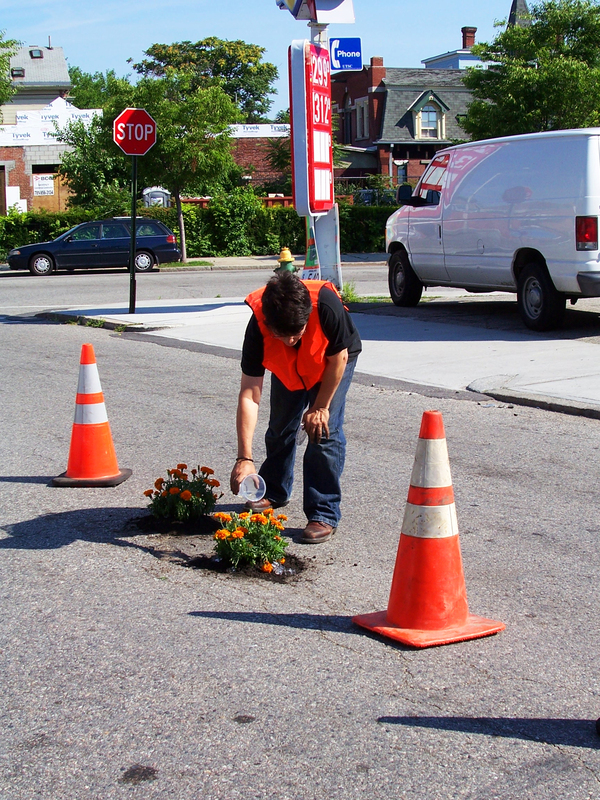 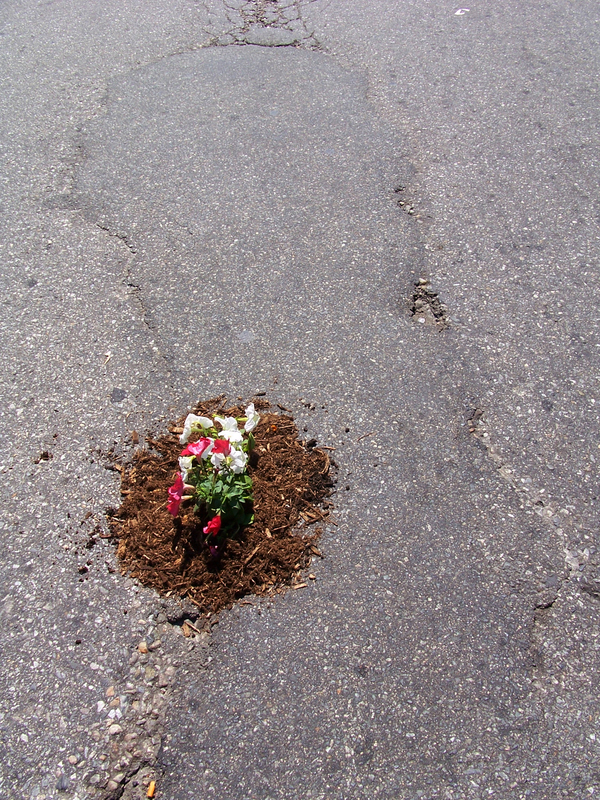 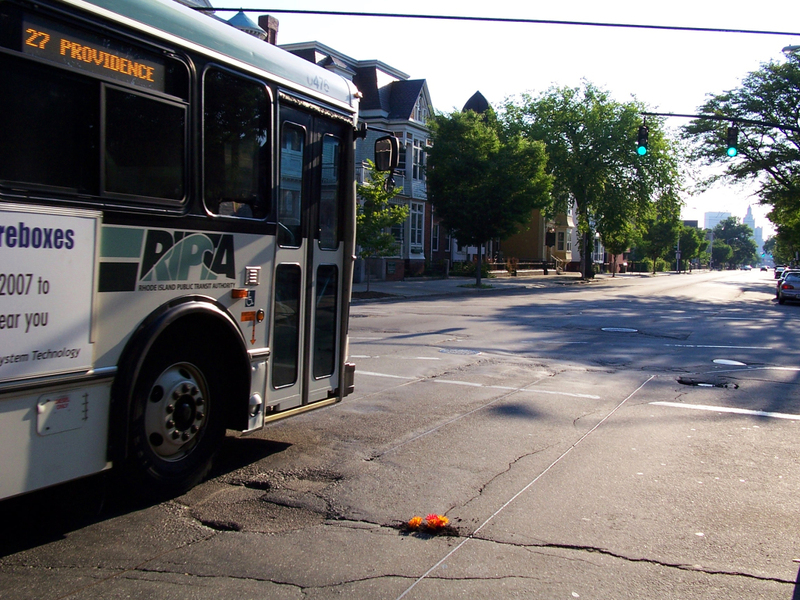 At the time of year when the City of Providence is customarily planting annual flowering plants in curbside spaces, this project jumped the curb and went directly into the streets to respond to emergent seasonal permeable spaces, vernal pools, potholes. 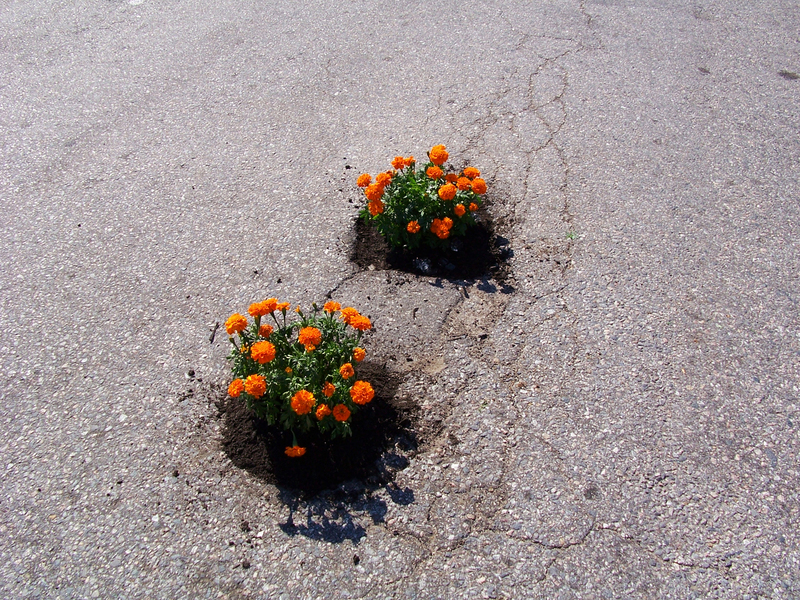 Spring rains open spaces in the asphalt (after freezing and thawing in winters and interactions with traffic) to reveal the ground underneath urban surfaces. 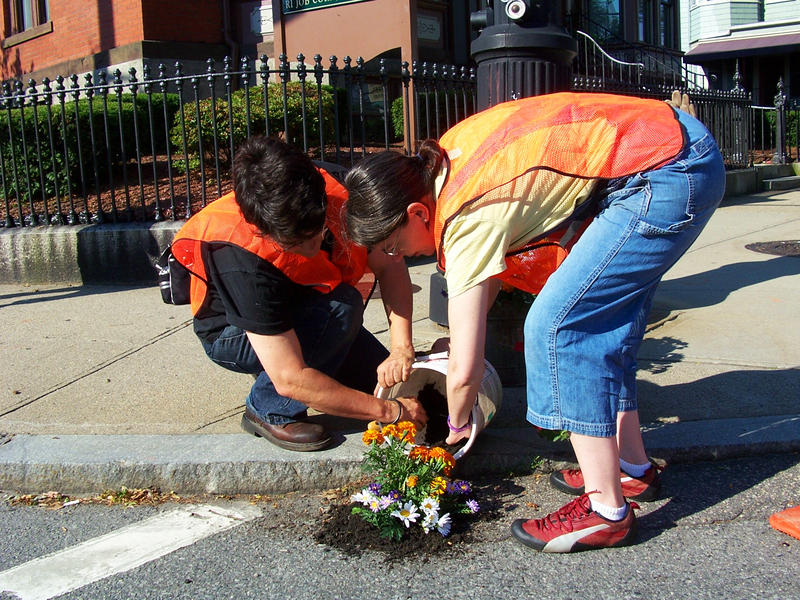 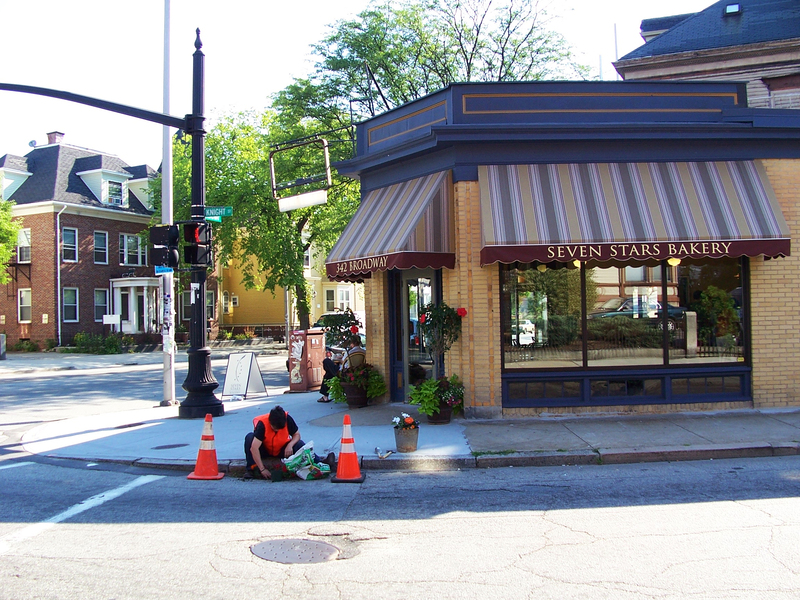 With annual plants, soil and mulch, we contributed to the temporary beautification of the city. 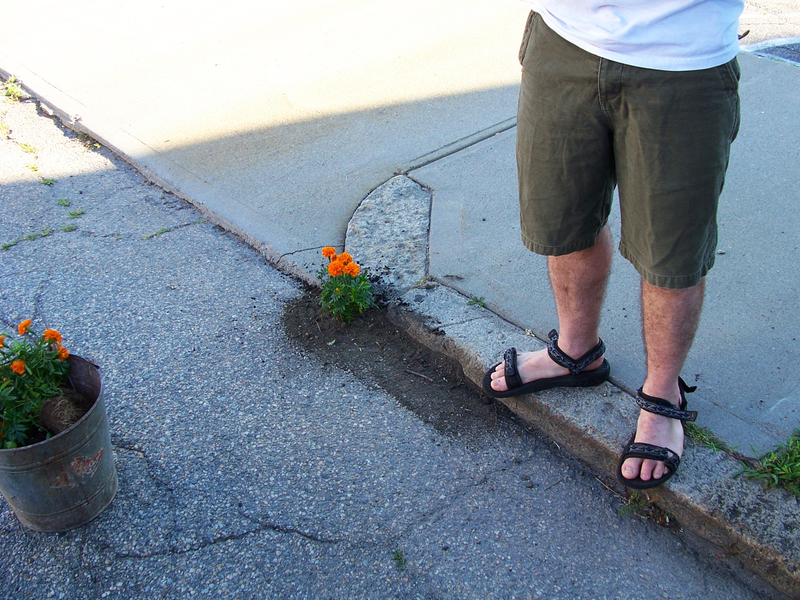 As these locations are naturally occurring spots where water gathers, functioning as miniature rain gardens, they required little water. 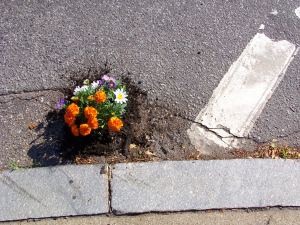 Neighbors near the streets where we planted came out to thank us for the beautification, thinking we were part of a city project. 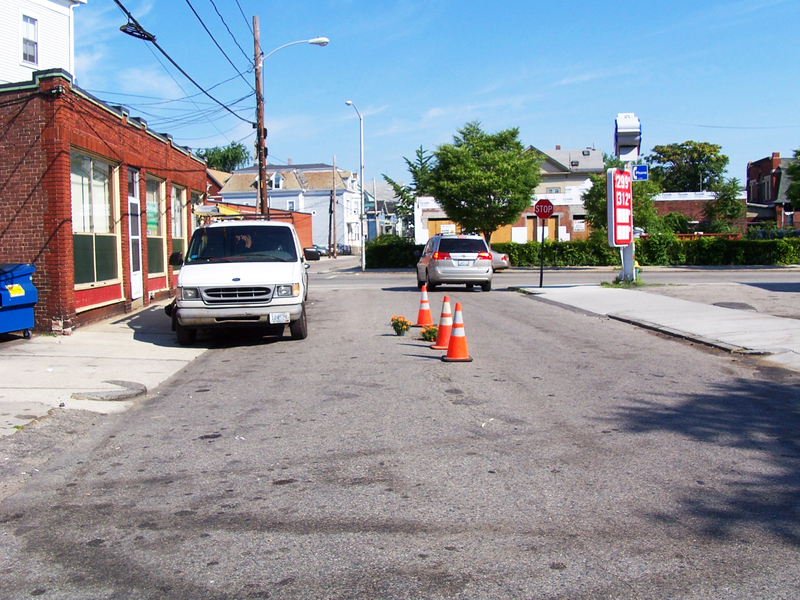 As a result of the newly planted spaces, many drivers chose to slow down and avoid them, one even giving a thumbs-up after successfully completing the imagined obstacle course. 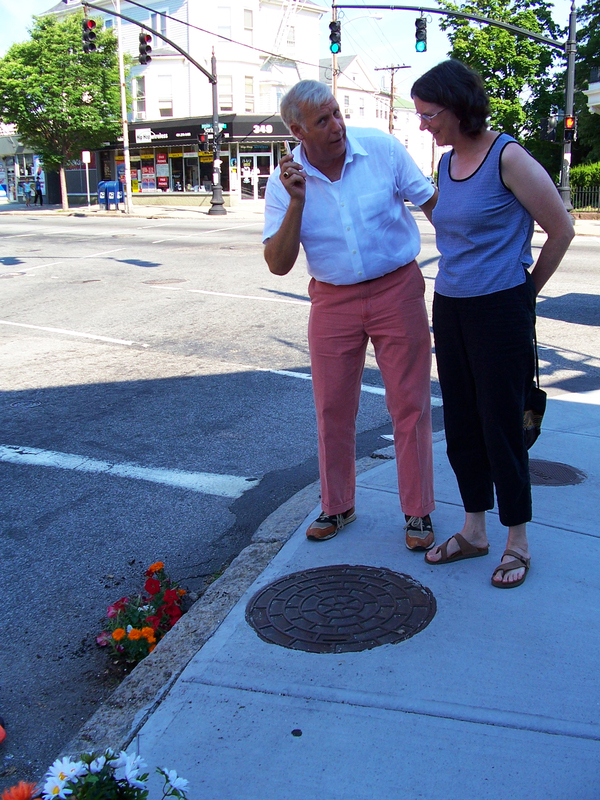 Other pedestrians and drivers expressed concern that the flowers would get run over. 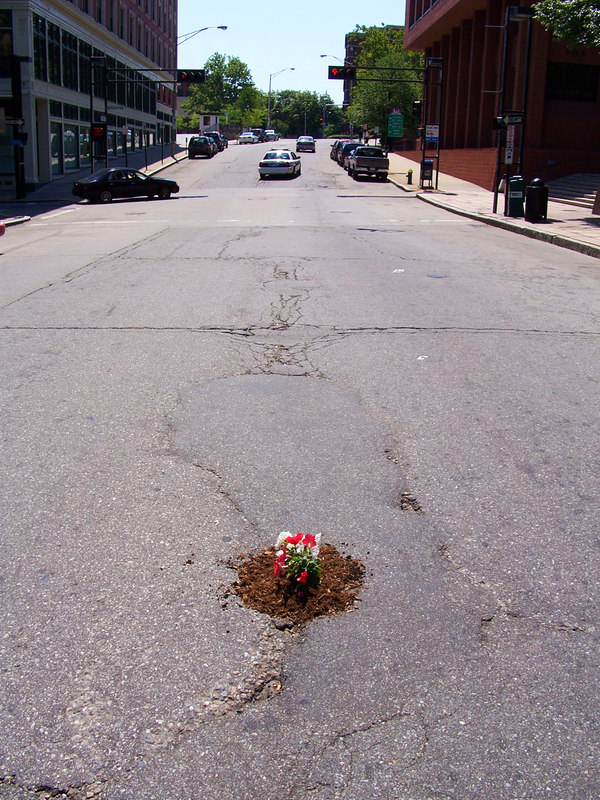 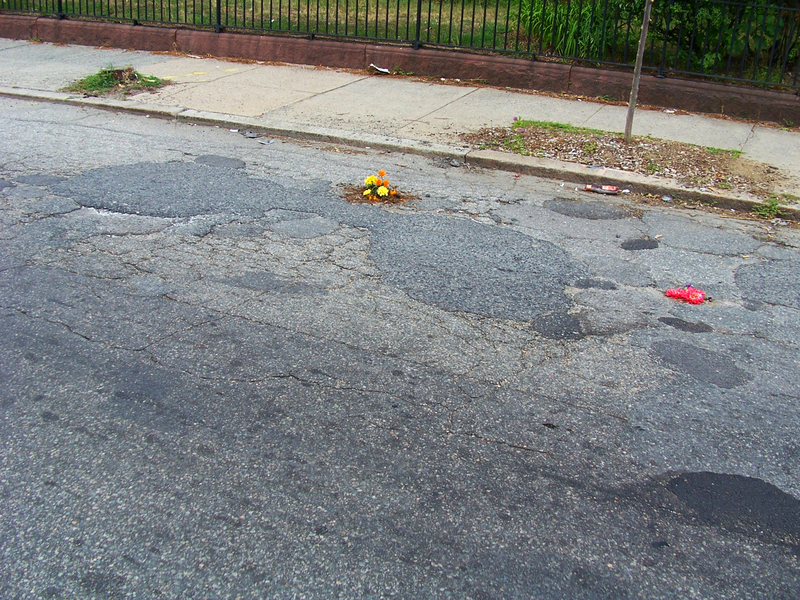 As with all city and road repair projects, we assured them that we were prepared for their impermanence.